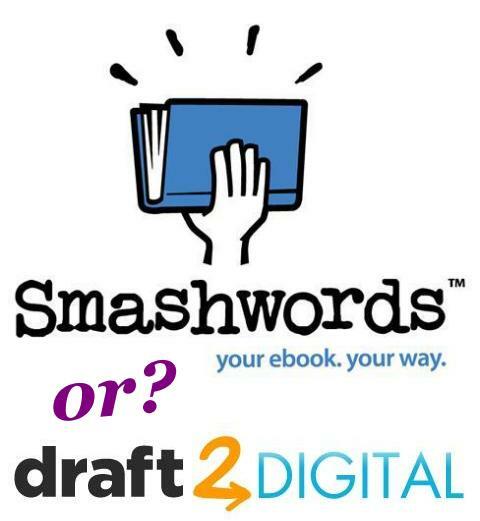 Smashwords or Draft2Digital for Ebook Distributor? This article by Jason Matthews first appeared on The Book Designer. You’re selling ebooks on Amazon. Where else? The options keep expanding as a rising global market embraces digital books. There are dozens of potential retailers, but only a few of the big sellers have enabled indie authors to directly upload in do-it-yourself fashion. KDP Amazon was the first to offer that. In recent years, Barnes & Noble, Kobo and Google Play have followed suit. Apple iTunes allows DIY uploading too, if you’re a Mac user. Beyond those options, other retailers exist that are only available through a distributor. Since 2008, Smashwords (SW) has been the established solution, where authors can upload for sales and also distribution to many retailers that don’t enable direct uploading. Smashwords admits it is primarily a distributor, where most authors will make about 90% of their earnings via the SW distribution partners and not direct sales from the SW bookstore. Lately more distributors have emerged, some charging upfront for their services and others free of cost with their earnings made on a cut of any sales, usually around 10% of the retail price like with SW. I prefer the no-cost-up-front companies. One choice is Draft2Digital (D2D), and it’s often compared to SW. Each distributor has pros and cons, but is this just a case of apples and oranges or is there a frontrunner? I’ve written on this in the past as have many others, but since e-publishing is an ever-changing industry, it’s nice to reevaluate some of the deciding factors. The most obvious difference is the formatting to be done before uploading. SW CEO, Mark Coker, is an expert on formatting that will be compatible for all reading devices. The Smashwords Style Guide, is a 27,000 word manual explaining the majority of requirements for the average ebook. Its length and scope have been reported to cause hair-loss, migraines and contemplated suicides for tech-challenged authors. In contrast, Draft2Digital doesn’t have a style guide. Their goal is “to support your style guide.” Just send them your Word doc, RTF or EPUB file and they’ll convert it. An intriguing contrast: do we trust D2D’s program as an intuitive ebook formatter or do we buckle down and learn to do it ourselves? Not surprisingly, this factor alone divides the masses. Some writers (like me) appreciate the knowledge to upload with their own personal touches, while others love skipping that learning curve altogether. Would you prefer not to learn how to create an NCX file or even know what an NCX file is? Would you prefer not to be subject to the rigid requirements of the Meatgrinder, the endearing name given to the SW file converter and spell-check software on steroids? You don’t have to worry about that with D2D. Hey, if Google can build a car that drives on autopilot, D2D can probably design a program to format ebooks. I wonder if quality is compromised. Are aesthetically unpleasing ebooks getting published more by D2D than SW? I believe that’s probably true, but I also think the quality is getting better all the time. Outside of Amazon, those first three retailers are the main players. Apple is now my second biggest seller. But those retailers aren’t exclusive to D2D. Note that India represents a ton of potential readers, and as the digital age matures Flipkart could be a great source of sales. For current ebook distribution partners and sales potential, the advantage clearly goes to SW.
Want your book in print with the same ease of skipping the format learning curve? D2D also enables a paperback version to be uploaded to CreateSpace (CS), Amazon’s print-on-demand company. Again, I prefer to upload directly, but formatting books for CS can be a Herculean task for newbies, known to drive even pacifists to seek gun applications and home addresses for Microsoft Word designers. Interior templates exist and formatters too, but D2D is offering an attractive option for CS paperbacks. I haven’t tested their system to comment on performance, though I admit being a fan of the concept. Can you envision being chauffeured to a book signing in a Google car while D2D formats your next release in paperback? It’s a nice thought. Fortunately CS has an excellent digital previewer for analyzing results and determining what changes need to be made. Advantage for paperbacks goes to D2D. Another bonus with D2D is monthly payments compared to quarterly payments from SW. D2D also doesn’t stamp their edition with their name as SW does (Smashwords Edition), making it a more attractive copyright page for those who feel the self-publishing stigma is a factor. I’ve also checked my titles at B&N online and noticed the D2D book description displays entirely while the SW description is limited to the short version. Small advantages to D2D. In recent times D2D had much faster sales reporting and speed of uploading to retailers, especially after updates were made (price change, newer version, metadata, etc. ), but SW has evolved and caught up in both regards. I believe the speed for updates taking effect at retailers still leans to D2D, but the new sales data from SW is more detailed and appealing. Another SW special has been setting up a book for preorders before publishing. The benefit: on the day of release the retailers will count all of the preorder sales as if they happened in one day, which can result in your book showing up at the top of popular charts, thus resulting in even more sales. Recently D2D set up preorders too, and it works in the same way. Just publish your book with a firm future date listed for release. At SW you can create coupons to make your book available at any discount, even for 100% off. This is handy in case you’d like to advertise specials for things like gifting copies or generating reviews. At both vendors you can set your price to always be free, but the coupon option is a bonus for authors who would prefer to charge most of the time. Advantage here to SW. Expansion is an important element. SW has been expanding its distribution channels since they began. In the past year SW has added OverDrive, txtr, Scribd, Flipkart and Oyster. Just recently D2D added Scribd and Page Foundry and mentions they have plans in the works to expand. D2D has also seen its titles briefly removed from B&N and Kobo shelves, though they were replaced and that was largely due to retailers taking a stand on adult material. Hopefully that won’t happen again. I like betting on proven winners, and since Mark Coker has such established history and ongoing presence in the publishing community, my choice is to stick with SW and plan for more expansion. There are a few options that make sense. I recommend always directly uploading to KDP Amazon of course (plus B&N, Kobo and Google Play if you want to). Option A: Use SW exclusively. Bottom line: it has the most retailers under its belt, and learning basic formatting is good for you and not really that bad, just like eating spinach. Option B: Use D2D exclusively. It gets you into the most important biggies like SW does, plus it can make CS paperbacks. And it’s as simple as sending them whatever you have. Option C: Use a combination. Decide which one for Apple, B&N, Kobo, Scribd and Page Foundry based on the personal preferences. Consider D2D for CS paperbacks and rest assured that Smashwords will get you into FlipKart, Oyster, txrt, Baker & Taylor, the library channels and the new set of retailers destined to join the field. Ultimately it boils down to your skill sets, your time and your needs. Have a comment? Please share them in the comments section. Nice article, thank you. I am a children’s book writer/illustrator and looking into the best POD and distribution for physical books as well as digital books. I know that Ingram Spark is in its infancy, but do you or anyone else have any experience with Ingram Spark yet? I haven’t used Ingram Spark but a lot of people like it. It’s part of Ingram obviously, so a great company with excellent distribution.